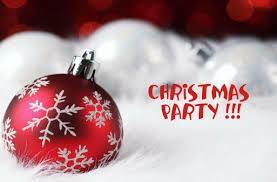 Please join us for the first annual BICF Holiday Party this Saturday, 12/16 from 4-7pm. There won't be a WOD, but we will have a family friendly celebration with games, activities, a white elephant gift exchange and a raffle drawing for our "Holiday Bingo" winners! We will be providing appetizers, but please bring drinks and/or a dessert to share. Please RSVP on the whiteboard at the gym and we hope to see you there!